We are a group of creatives that rally around one idea: that unforgettable stories have the potential to empower the movers and shakers of our world today. We create videos to tell those stories. Your story has the power to transform hearts and minds. 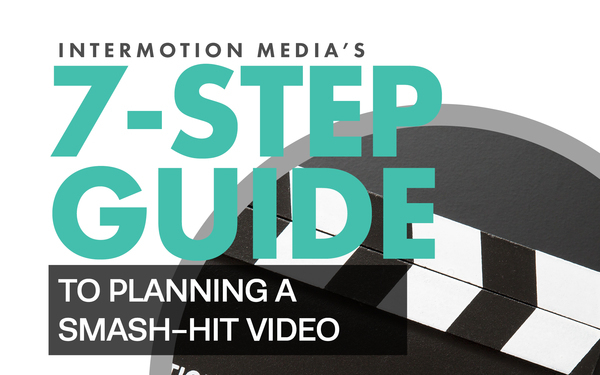 Information is easy to come by, and just about anyone can make a video, but it's story-driven content that will attract people to your cause. Our passionate team of creatives is here to help you tell your story through video. I simply love producing videos that are beautiful, tell stories and make a difference in the world. It was post-college that I saw the potential to be an effective communicator through videos. Since that realization several years ago, I have had the opportunity to tell stories from all over the globe. My work shines the most when I am in the developing world, away from the big studios. I love going into a remote place and coming out with shots that not only look beautiful, but, when edited together, help communicate a very important message. Creating IMM has been a way for me to continue doing this with the invaluable help of other talented individuals. Visual storytelling is a powerful media; it has the power to change the way people think and live. That's one of the first things that drew me to video production. My travels to Iceland, Cambodia, France, England, Belgium and Honduras have given me a wide appreciation for different cultures and ways of life and helped me develop my skills with a camera and during the post-production editing process. I enjoy trying new things, reflecting deeply and exploring the outdoors. Evan Szymanski has worked as a motion graphics artist and graphic designer for non-profit and purposed-based organizations across the country. Driven by a desire to nurture and teach, he loves to develop accessible, visual metaphors for complex, technical concepts, and bring these metaphors to life with striking motion, so meaningful stories can make an impact. In his spare time he enjoys reading and writing. Born out of Quito, Ecuador, IMM truly has its roots in internationally focused video productions for small-scale organizations. In 2013 our first D.C. based office was opened in Alexandria, VA. From that small 75 sq. ft. office we launched our first full fledged studio in the heart of Old Town Alexandria in 2014. Now, we are a fully functioning, state of the art production studio with full time producers and additional support staff. We believe in partnering with people who are making the world a better place. Our mission is to walk alongside passion-driven organizations, schools, churches, and companies to help them tell stories that are true, noble, and admirable. As the globe connects more online, we believe that sharing these stories can help orient the world’s moral compass. However, as a warning, this journey is not for the faint of heart or the weak. Being mediocre will only get you bashed around by the waves of the countless people who are making an effort to tell meaningful stories. We will pursue excellence in all we do as we rise above the noise.